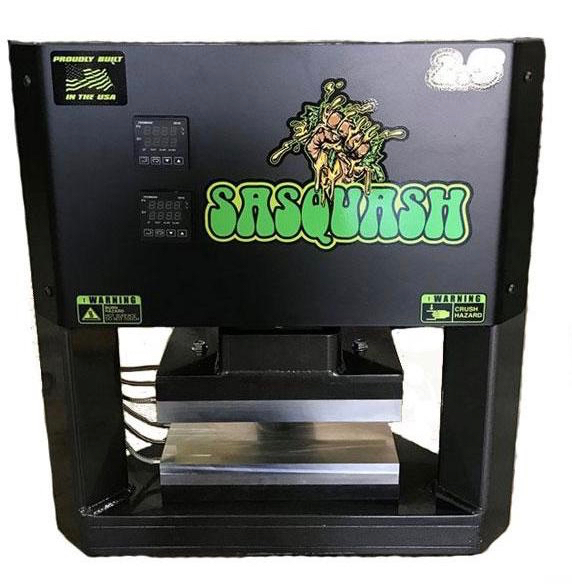 The Sasquash 2.5 Rosin Press combines the design of the compact Sasquash M1 with the capabilities of the Sasquash V2. Capable of 25 tons of pressure, the Sasquash 2.5 can press 2 ounces on its large 10" x 5" plates. Various manufacturer accessories available including 2 speed pumps (electric, hand or foot), pressure gauge and manual load control valve.